Since my son made a Daddy and Me footprint craft for Father’s Day, I made a handprint one with his little sister. 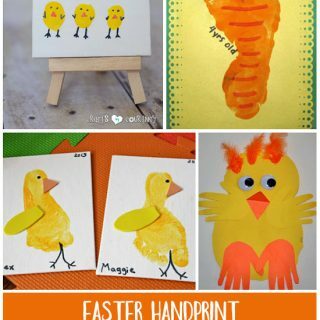 I just adore all the Daddy & Me handprint crafts! 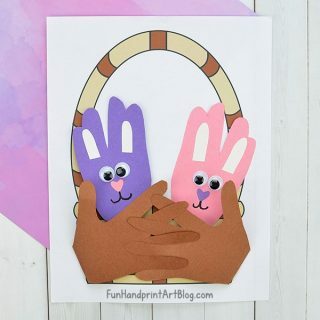 I adapted ours to suit us by changing it to a Papa and Me craft. I painted my husband’s hand blue and had him make a handprint. Of course it would have been fun for her to paint his hand too, but between his work schedule and her napping there wasn’t a good time to do so. It’s still a precious keepsake nonetheless! ’cause you love me too. 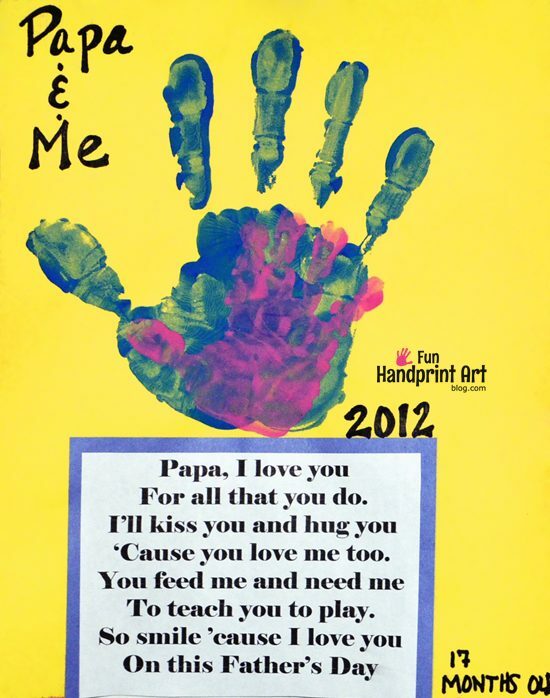 You can never go wrong creating a little hand print for dad! That&#39;s lovely. Must get round to fathers day cards. Not long now. Thanks everyone! Thanks for the invite! I will check it out 🙂 @Krissy WooHoo! Thanks for the feature!